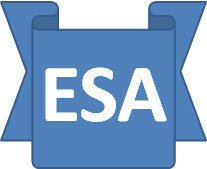 The ESA Saga: The Reconsideration Process in DWP – what is the point?????? The Reconsideration Process in DWP – what is the point?????? • What the impact (if any) of its internal reconsideration process is, so it cannot possibly determine if it offers value for money, so why not get rid of it? It is in contrast pushing ahead with a proposal to make reconsideration mandatory rather than (as it is now) optional. It claims to have undertaken a comprehensive impact analysis, which is impossible without this information, so it has no idea of what the effects will be on DWP itself or the Tribunals service and therefore no idea what effect it will have on claimants. This of course means that none of these factors matter, notably the last. Worst of all, it has no targets – notably the accuracy of right-first-time decision making. How can you possibly manage a process to an end point without knowing what it is? The expression “couldn’t run a heavy drinking session in a brewery” comes to mind. The Greatest Indictment of DWP yet?